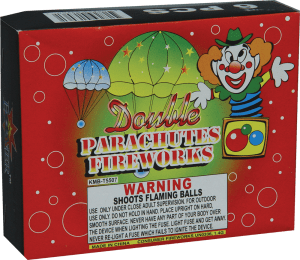 Shoots two retrievable parachutes skyward—it’s double-the-fun! For day use. This item shoots a single parachute up into the sky. This is a nighttime item and burns a colored flare as it floats down. 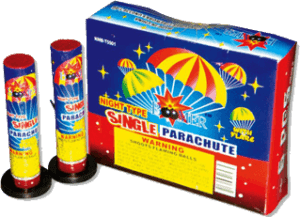 Launches multiple parachutes that float back down to earth!